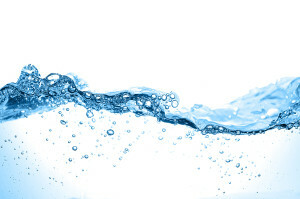 Which One of RainSoft’s Water Filtration Systems is Best for Your Home? At RainSoft, we offer premium filtration systems for home water problems of all kinds. Our proprietary problem-solving filters are designed to address systemic water quality issues that might be present in your community. Think of a problem-solving water filter from RainSoft as your home’s very first line of defense against impure water. Whether it comes from a well or your local water treatment facility, your water may pick up impurities while en route to your home. Iron, sulfur, chromium, sediment – these and other contaminants can make their way into your community’s water supply. In addition, many localities add chlorine to their water to make it biologically safe to consume. A RainSoft problem-solving filter can remove this strong-smelling additive after it has served its purpose of disinfecting your water. In fact, RainSoft has developed a series of problem-solving filter products, each designed to address a specific problematic contaminant in either city water or well water. For example, the most popular problem-solving filter we offer, the QRS Whole House Carbon Filter, takes out chlorine, VOCs, and other impurities that can potentially be a nuisance to your family. Since 1953, RainSoft has been at the forefront of the residential water treatment industry in North America. In addition to problem-solving filters, we offer demand-generated water softeners, timer-operated water softeners, premium drinking water systems (including the Ultrefiner II reverse osmosis water purification system), and household air purifiers. To learn more, contact an authorized RainSoft dealer in your community.